Zimbabwean President Robert Mugabe attended the graduation ceremony of Zimbabwe Open University in Harare on Friday morning. This is Mugabe’s first public appearance since the military seized control of the country. 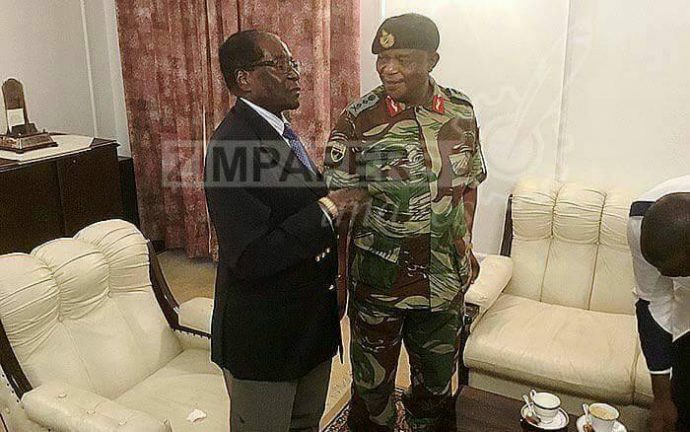 The military had taken control of the country, insisting that it was not a coup but an action towards people around Mugabe. Mugabe had also refused to resign after a meeting with South African delegation and the military. The 93-year-old appeared without his wife, Grace, and Higher and Tertiary education minister Jonathan Moyo, who is reportedly in the custody of the army, According to Newsday reports. Mugabe was placed on a house arrest following the coup on Tuesday, and was seen for the first time in a group photo with military leaders and negotiators on Thursday evening.